How I Received This Book: This book was one I purchased for myself at CHAPTERS. Any memoir that begins with the words this one does is bound to be both interesting and shocking. 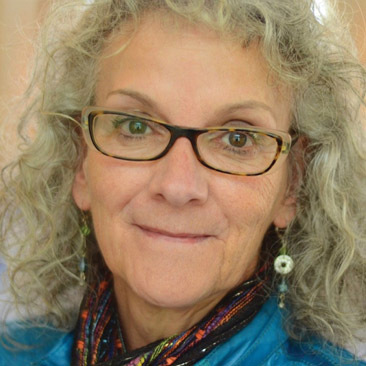 Author Diane Schoemperlen is NOT the type of woman who I pictured as one that would fall in love with a man in prison – especially one who had been convicted of murder. I’m not sure who I thought of as the type to fall for a prisoner, I just know that a well-known author and journalist would be the furthest choice from my mind. Now, if that sentence does not make you want to read more, then, this review is probably not for you either. What would an educated and highly intelligent woman find attractive about a convicted killer? What the heck was wrong in her life that she would see prison as a viable dating venue? How could she ever feel safe around him? Diane met Shane at a soup kitchen where they both volunteered. He was still incarcerated, but he was allowed out while escorted by a nun to work at the soup kitchen. No one, Diane least of all, had any idea what his crime had been or how long he had been in jail. In fact, at first, she thought he was just another volunteer. This blows me away. I cannot say for sure what my reaction would have been, but I doubt that learning Shane had killed someone is something that I would have been able to overlook. But, that is the exact reason why I wanted to read this book. Well, that and the fact that author Diane Schoemperlen is not only Canadian, but she and I live in the same province (Ontario) and our homes are only a three hour drive apart. I found this memoir to be compelling reading. Diane does not shy away from difficult topics. She opens the readers eyes to what life is like for those incarcerated in Canada’s prisons and how these prisoners become institutionalized. What I had never considered before was how the loved ones of these inmates end up institutionalized as well. Yes, this book contains details about the often ridiculous world that is Canada Corrections, but it is ultimately a story about the desire for love and acceptance and to the lengths people will go in their quest to achieve those feelings and the seemingly bizarre choices they make that they normally would not. Diane Schoemperlen’s memoir is beautifully written and well thought out. Since it is written after the relationship ended I do however believe that she has glossed over many of the events. But I also believe that she did not do so with the intention of deceiving readers, rather because, in her own mind, she didn’t want to sensationalize her fear. It is human nature to downplay fear-filled moments after the fact – I believe this is an unconscience psychological defense mechanism. I have done some research and I believe I know exactly who “Shane” is and if I am right, he committed multiple murders, multiple prison escapes and multiple robberies. However, whether he killed one person or three people, he is still a murderer who was sentenced to life in prison. I also do not believe the bit about his “teardrop tattoo.” I think this was included to throw off those who might be curious as to “Shane’s” actual identity. Despite the sentence of life in prison, somehow “Shane” is now allowed to live and work amongst the rest of us. WHY? Personally, I used to naively believe that when someone was sentenced to life in prison, that they would actually remain in prison until they died. SILLY ME!!! I guess I should have known better. 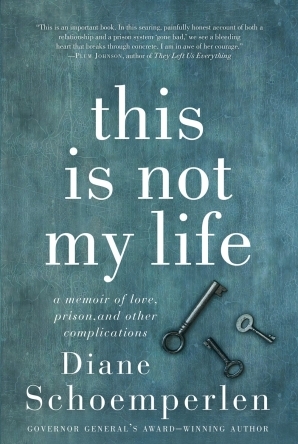 I could probably rant for many, many more paragraphs about why I think it is wrong to allow murderers to be free to walk the streets of my home province, but I will refrain from doing so here in my review of THIS IS NOT MY LIFE by reknowned author Diane Schoemperlen. Diane Schoemperlen is the Governor General’s Award winning author of twelve works of fiction and non-fiction, most recently By the Book: Stories and Pictures, a collection illustrated with her own full-colour collages, which was longlisted for the Frank O’Connor International Short Story Award. 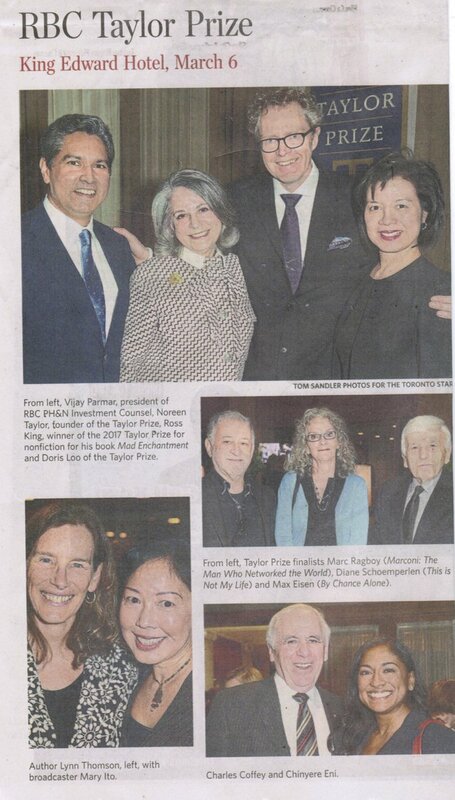 She is a recipient of the Marian Engel Award from the Writers’ Trust of Canada. Three memoirs and two biographies are nominated for the 2017 RBC Taylor Prize. Max Eisen writes about surviving Auschwitz; Matti Friedman recounts his combat experience in Lebanon in the mid-1990s; Ross King examines Claude Monet’s fascination with painting water lilies; Marc Raboy reveals Guglielmo Marconi as a global communications pioneer; and Diane Schoemperlen remembers her six-year relationship with a convicted murderer. The Agenda welcomes the five non-fiction finalists to discuss what impelled them to write their books.